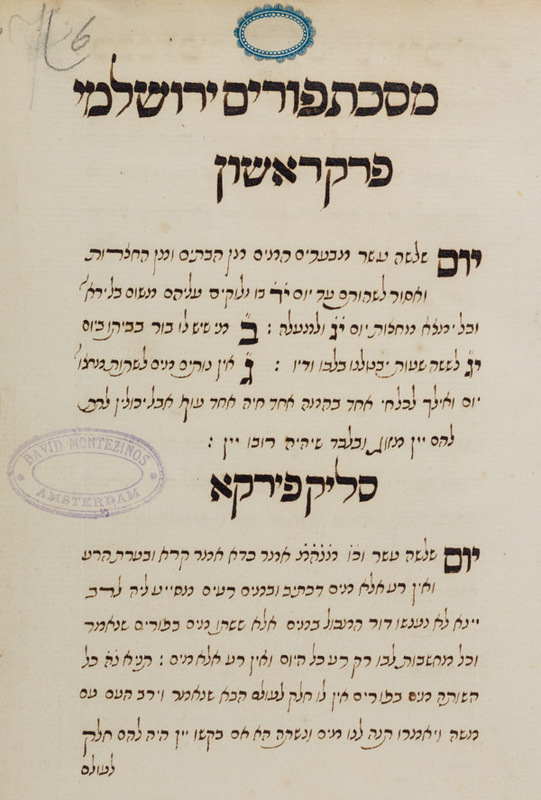 Parody for Purim, 18th century copy. Hebrew / Paper / 20,6 x 12,9 cm. /  ff. / Neat Sephardic cursive writing with square headings / Title written on top of f. 1v / Catchwords at the bottom of each page / Bound together with several other manuscripts.